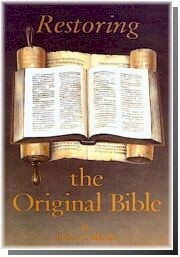 You can order Restoring the Original Bible here: Order Book. This diagram will print best on legal size paper, with a LANDSCAPE setting on your printer. Chapter 20: When Was the Book of Revelation Written? Chapter 28: Where Was the New Testament Canonized?